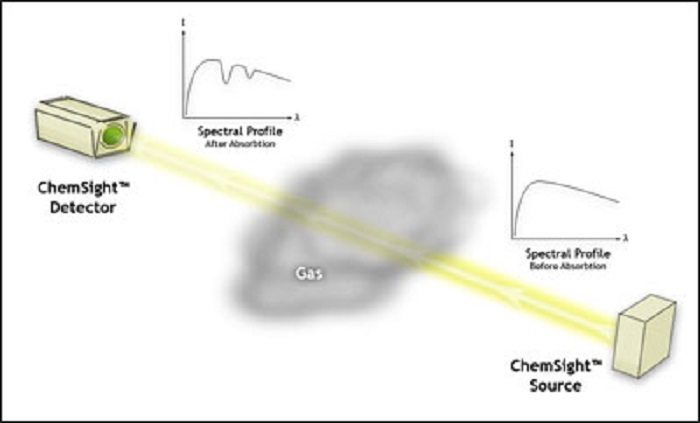 The ChemSight™ detector is a continuously operating, open path detector that uses infrared spectroscopy. 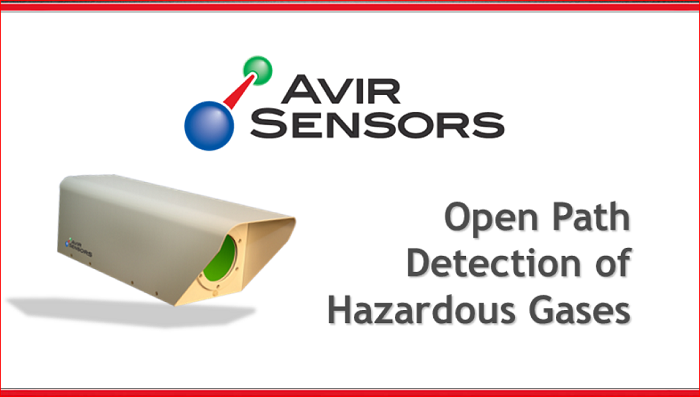 It can reliably monitor lines of sight up to 45 meters and detect and identify multiple chemicals and interferants. The ChemSight™ Detector is particularly suitable to monitor large facilities, indoor or outdoors, that face constantly varying challenges by multiple threats. It is robust, easy-to-install and operate – even by untrained personnel. Its exceptionally low-maintenance schedule and no-consumables make it the only “install-and-forget” detector in the field. Unlike point detectors that can provide only localized snapshot views of the protected area, the ChemSight™ Detector offers a global view and fast response to nearly all chemical challenges and interferants. Select the ChemSight™ Detector with confidence because it can detect and identify a wide range of TICs (toxic industrial chemicals) and interferants. It responds equally well to large and small concentrations without facing the risk of poisoning the detector elements. New toxic industrial chemicals or interferent signatures can be uploaded into the database of any ChemSight™ Detector through standard wired and wireless communications networks. Its flexible interface allows it to be readily integrated with industry standard security network systems or to act as an autonomous detector system. The ChemSight™ Detector is a Qualified Anti-Terrorism Technology and is a Department of Homeland Security SAFETY Act Designated Technology.